St.Lucia, an island of complete beauty and tranquility. An abundance of green forestry and beautiful beaches. This is what makes it the perfect place to have some of the greatest excursions in the Caribbean. Whether you are someone who loves hiking the mountains or snorkeling in the great blue ocean, each tour company has something different to offer. Let’s get into it and see what excursions we can find ourselves on this beautiful island of St.Lucia. You are on the island of St.Lucia and you have pretty much visited most of the island. Why not take a break and fly on over to another island? Serenity Vacations offers the Grenadines Tour where you are picked up from your resort and taken to the airport. You are then flown over the Caribbean sea for a short 20-minute plane ride to the Grenadines. As the day goes, you are pampered with an all-inclusive day on the island. Start off with a champagne breakfast followed by a 6 to 7-hour cruise between the islands of Canouan, Mayreau, and The Tobago Cayssome. Swim and snorkel, with some turtles and fishes on the island. Come back in time for a buffet lunch and get ready to head back to the beautiful island of St.Lucia. Book with Serenity Vacations today and get that VIP experience with your Caribbean tour! The town of Soufriere is filled with most of the tourist attractions in St.Lucia. There’s no better way to explore that part of the island than with one of the best tour companies. The land and sea tour is something great to do if you are visiting the island for a week, or maybe just a cruise ship stop. Sea Spray Cruises offers a full 8-hour Land and Sea Tour of the town of Soufriere in St.Lucia. You will be picked up right from your resort and have a drive down the banana plantation. You are then treated to a buffet lunch at the Morne Coubaril Estate. Also included in this tour is a trip through the world’s only drive-through volcano, a visit to the Diamond Falls Botanical Gardens and the Toraille waterfalls. Don’t worry, I did not forget about the sea part of the tour! You will get a chance to sail up the coast to Marigot Bay for some snorkeling and have some champagne and finger food on your way there. That sounds like a pretty fantastic day! Are you an adrenaline junkie? Then this is definitely a sport for you. Imagine soaring through the forest of Dennery St.Lucia. Your blood is pumping, your heart is racing and you are ready to let go completely and trust that you are fastened tight enough. Don’t worry, Tree Top Adventure Park has got you covered. Get ready for a 4-hour adventure with this Adrenaline Zipline Tour. Soar through the rainforest on zip lines and have a bird’s eye view vantage point. Feel safe knowing that you have knowledgeable staff to help you every step of the way. You are picked up and dropped off from your hotel or right from the port. So if you are ready for a day of island adventures, Treetop Adventure Park is the tour company to go with. Are you ready to visit St.Lucia from a different angle? Then doing it by ATV is the way to go. Feel the adrenaline as your race through the mud visiting the different parts of St.Lucia. What better way to do that than with a tour company who knows what it is all about! Get excited to start this three-hour ATV Tour of part of the island. Ride through the tropics of St.Lucia and visit a working plantation and parts of Marquis Estate. Ride through the beautiful beach of Grande Anse and maybe even jump in for a swim. This is a great tour to do with just you and your partner or up to an 11 person group. Get your friends together and book your tour today with one of the best tour companies in St.Lucia. We have heard so much about the amazing pitons in St.Lucia. It is such a site to look at. But why are we still just looking at it? Don’t you want to give it a go and climb this monster mountain? St.Lucia Taxi and Tour has a great Private Tour that can help you face this challenge. This tour is a 2-hour hike up the mountain and 2 hours down. You have a local and knowledgeable guide that will be with you every step of the way. In that way, you get to walk at your own pace. Whether you are a hiker at heart or just a beginner, you will feel comfortable know that the guides are there with you. This is a great adventure for off the cruise ship tours. Round trip transportation is provided for this tour as well. So if you want to take these legs for a nice intense workout, this is definitely the mountain to tackle. If you are a history buff and you want to know all about St.Lucia’s history then it is definitely something you must do. This Time Travelers Tour offers you with so much information about this little island, you will be blown away. I don’t want to spoil it and give away to much information, but you will be picked up in a luxury vehicle as you visit some very important landmarks on the island. Travel through the fishing villages of Labourie and Choiseul. Learn the island’s history through very knowledgeable local tour guides. Have a visit to the Botanical Gardens and the mud baths in Soufriere. And the best part of the tour, you get to taste some locally made rum with some cassava bread. All this in half a day, I say that’s a good deal right there. Would you like to spend the day on the water, sailing the Caribbean seas? Maybe snorkeling the reefs and just sunbathing on a catamaran? Well, you have stopped at the right place. Barefoot Holidays St.Lucia Day Tours has an amazing St.Lucia Catamaran Day Sail that will allow you to do just that. Set sail along the tropical coast of St.Lucia. Step out the and take time to visit the world’s only drive-through volcano. Then visit the cascading Diamond falls. Sail through the beautiful Marigot Bay. This is a great tour to have as an off the cruise ship tour or even great for groups. Book your tour with one of the best tour companies on the island of St.Lucia. 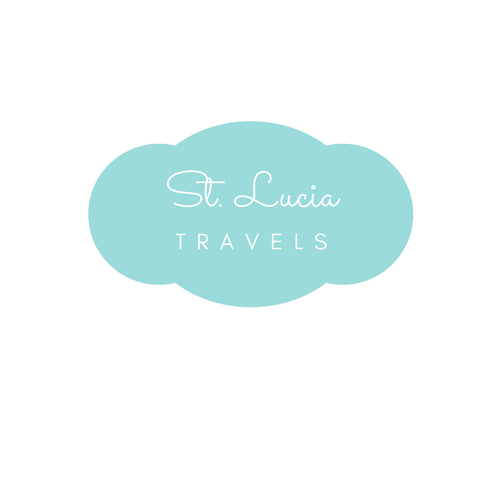 Well, this is my take on the best excursions and tours on the island of St.Lucia. Each tour is specific to a different tour company. Feel free to choose any tour that speaks to you and let me know what you thought about it. Hope you are or will enjoy our little island because we sure do.